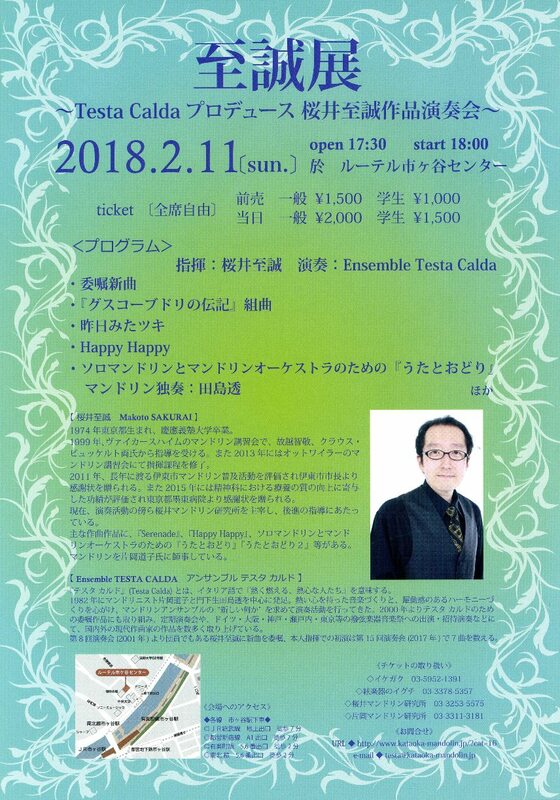 "Testa Calda" means "enthusiastic people" in Italian. 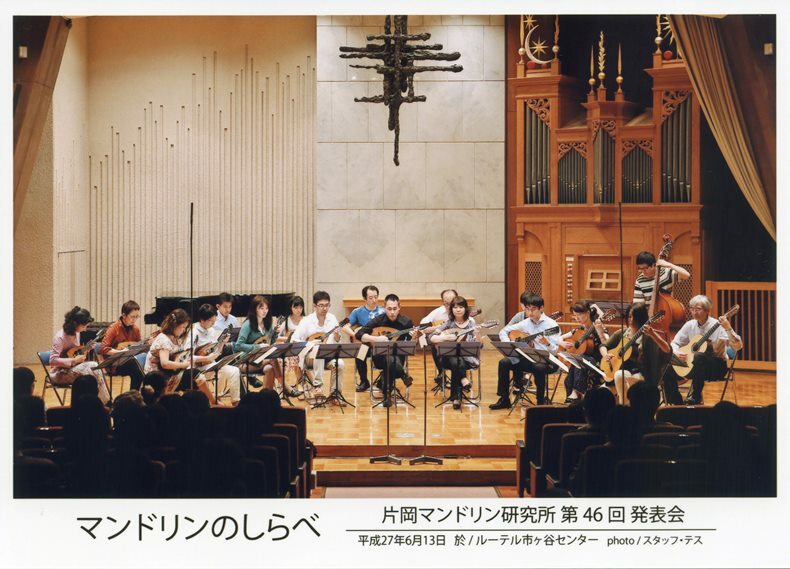 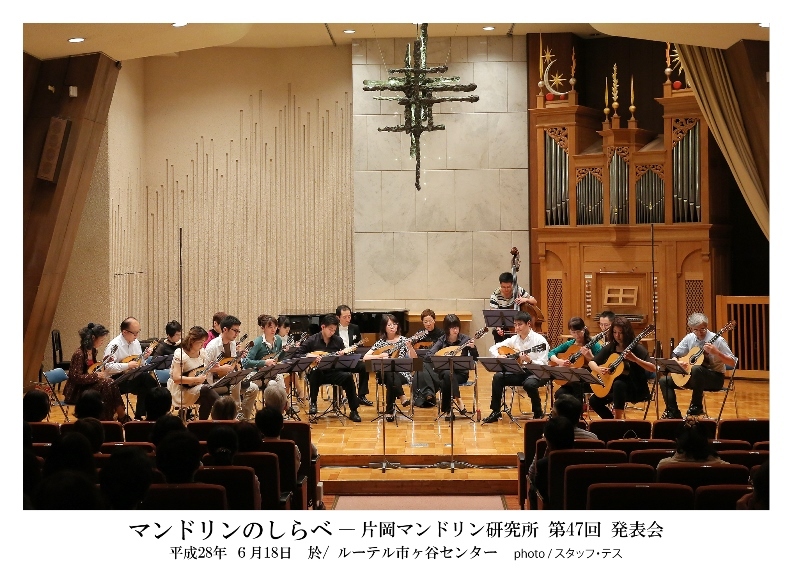 Since foundation in 1982 by Michiko Kataoka, mandolinist, and her pupils including Toru Tajima, we have been exploring possibilities of ensemble, under Michiko Kataokaﾕs tutelage, in pursuit of enthusiastic expression of music and energetic sounds to be true to the name of the group. 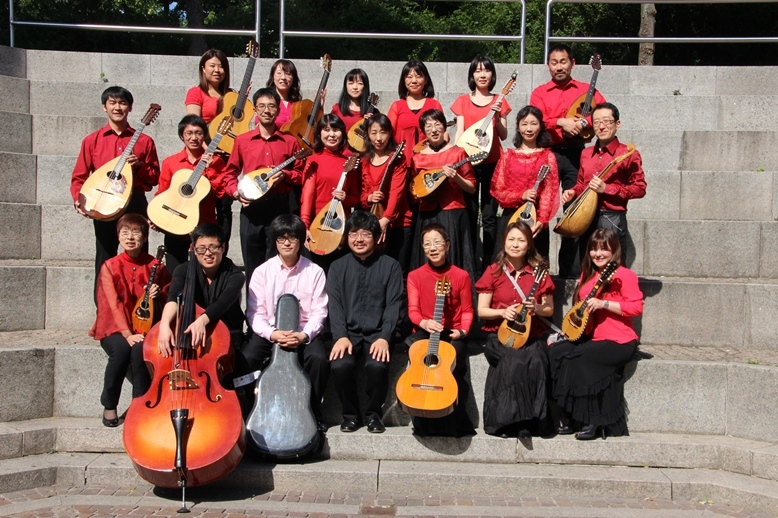 Current members are Toru Tajima, leader, Makoto Sakurai, mandolinist, and approximately 20 pupils studying at Kataoka Mandolin Institute. 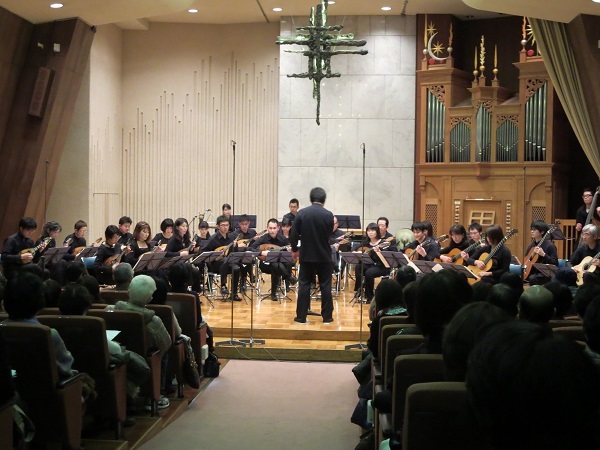 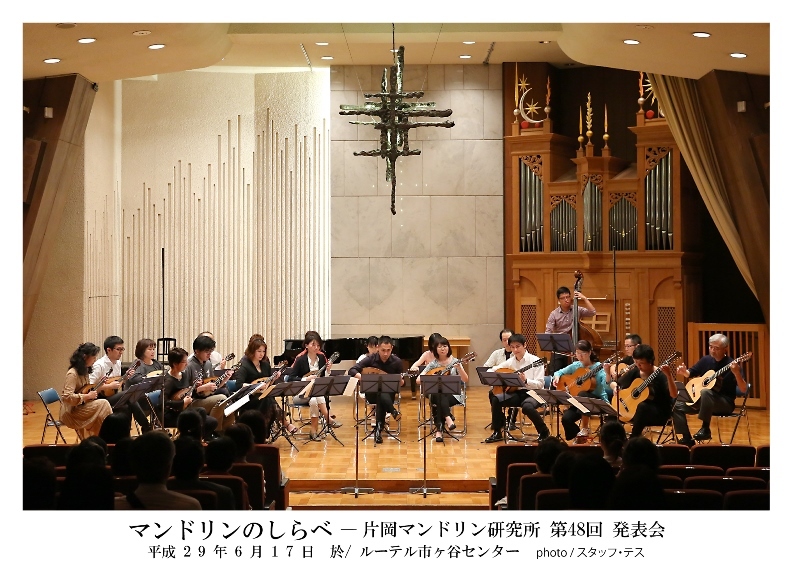 We perform in our regular concert and annual concert of the Institute, and have proactively participated in/have been invited to music festivals for plectrum instruments held in Germany, Tokyo, Osaka, Kobe, Setouchi, etc. 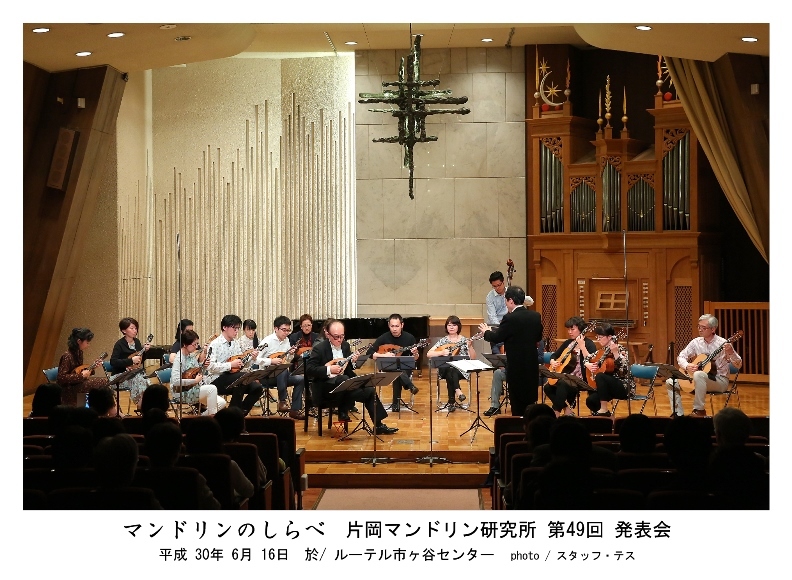 In our performances, we have been focusing on contemporary music not only from Japan but also from abroad, and since 2000 we have been working on commissioned pieces in the effort to expand our repertoire. 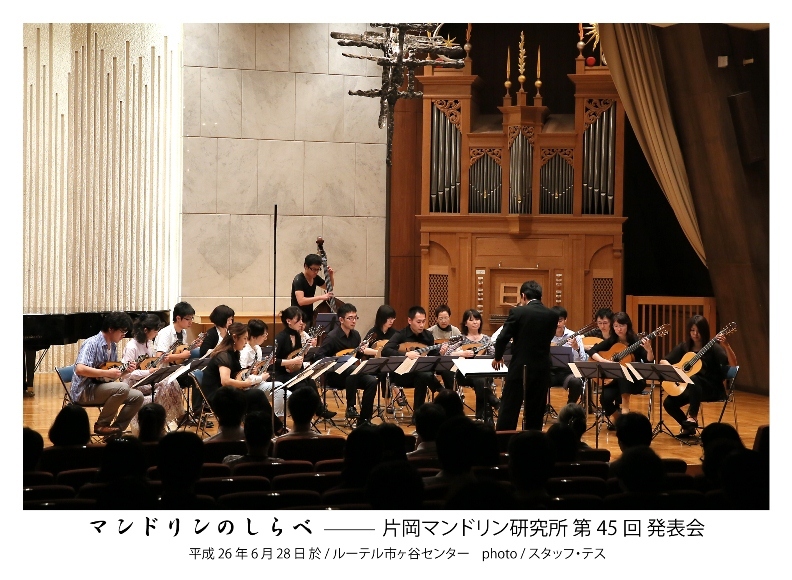 So far, the works by Keiko Harada, Yasuo Kuwahara, Roland Ganz and Makoto Sakurai have been premiered. 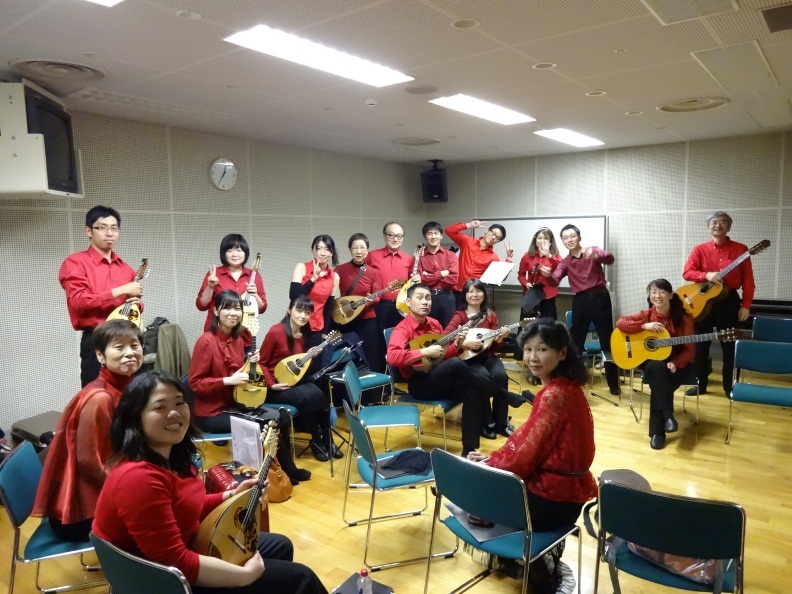 Through working on contemporary music as well as many other good pieces and commissioned works, our journey to search "something new" in mandolin ensemble will continue. 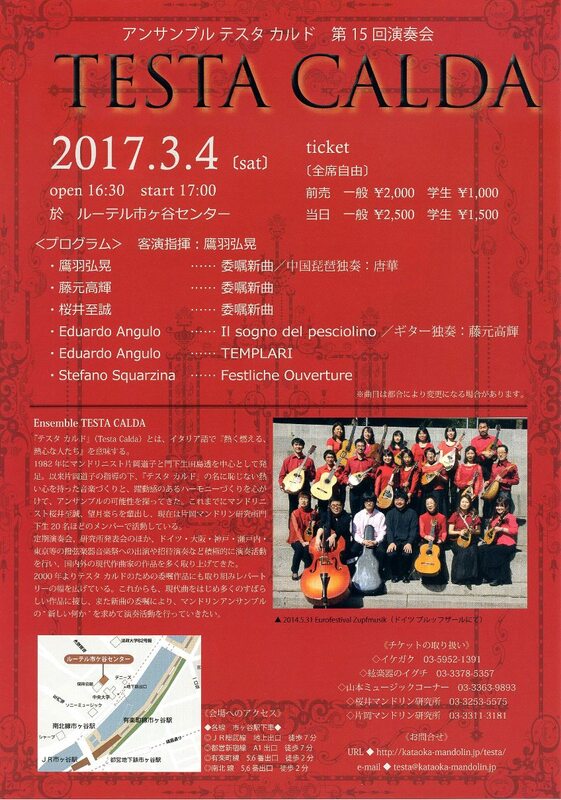 2017年６月１７日（土）　ルーテル市ヶ谷センター 【プログラム】　“Journey to Greece”，ein Konzert-Zeimbekiko für Zupforchester　・・・Aris …..
2017年3月4日（土） 16:30 開場 ／ 17:00 開演　ルーテル市ヶ谷センター　〈演奏〉 アンサンブル テスタ カルド　〈共演〉 指揮：鷹羽弘晃、中国琵琶：唐華、ギター：藤元高輝、コントラバス：加藤雄…..
2015年２月２１日（土） TESTA CALDA　FACEBOOK https://www.facebook.com/ensembletestacalda アンサンブル テスタ カルド　第１４回演奏会 …..
片岡マンドリンアンサンブルの一員として参加 期間： 2014年5月23日（金）羽田出発　〜　6月2日（月）帰国 ———————&#821…..
期間：2014年4月12（土）〜13日（日） ★4月13日（日）　11：00〜　ゲストコンサートⅠに出演 場所：香川県社会福祉総合センター 1Fホール 【プログラム】 ・Sadoc　・・・Juan Carlos M…..